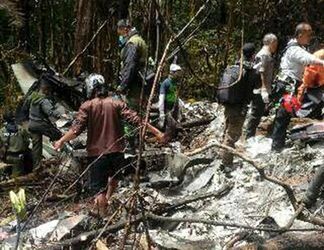 On Sunday, a Trigana Air Service plane crashed into a mountain in Papua. The plane was going from Jayapura to Oksibil. There were 44 adults, 5 children, and 5 crew on-board, and none of them lived. The plane also had $470,000 that was going to help with a village assistance program. The treacherous terrain has made it difficult for those doing recovery efforts. The plane’s black box was found on Tuesday. Hopefully this will help investigators figure out what happened. Pray for those investigating the crash, and pray for the families of the victims.